You can have your Harley leather sofa with sliding seats also custom made. Shop online or in the Berto showrooms. Our interior designers are at your complete disposal to assist you in customizing your sofa in any aspect. 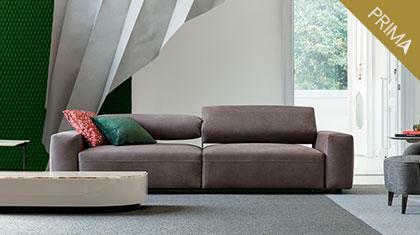 Harley is a new leather sofa with sliding seats designed by BertO, also available made-to-measure. Harley is made up of seats of different dimensions equipped with casters to simplify the sliding movement and the mechanism to regulate the reclining backrest (7 positions). 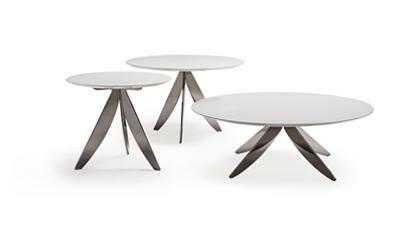 The visible steel frame is available with personalised finishes: matt or gloss satin or black, embossed powdered metal. • the upholstery can be chosen from a vast selection of protected, full grain, aniline and nubuck leather. Also available with water repellent treatment. Cover: In the leather version the cover is not removable. Cushion covers are always removable. Available with totally removable fabric cover. The Harley leather sofa with sliding seats is handmade by highly skilled upholsterers.